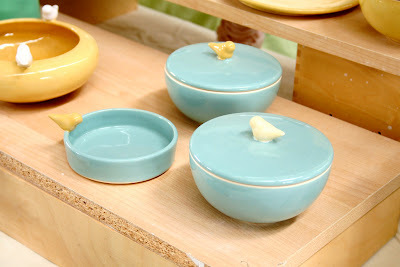 I really really love these ceramic pieces. The colors caught my eye a mile away and every piece is lovingly hand crafted. These little birds are so sweet! 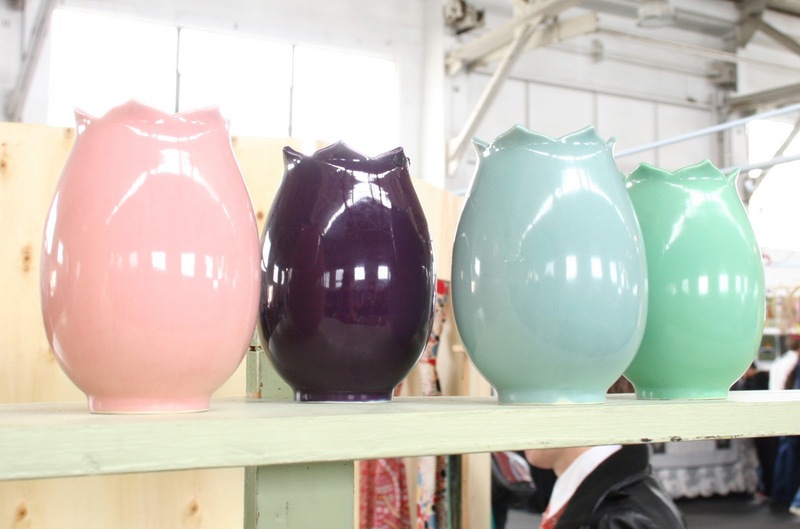 These tulip vases would brighten up any room! Aren't they gorgeous? I love their feminine shapes. 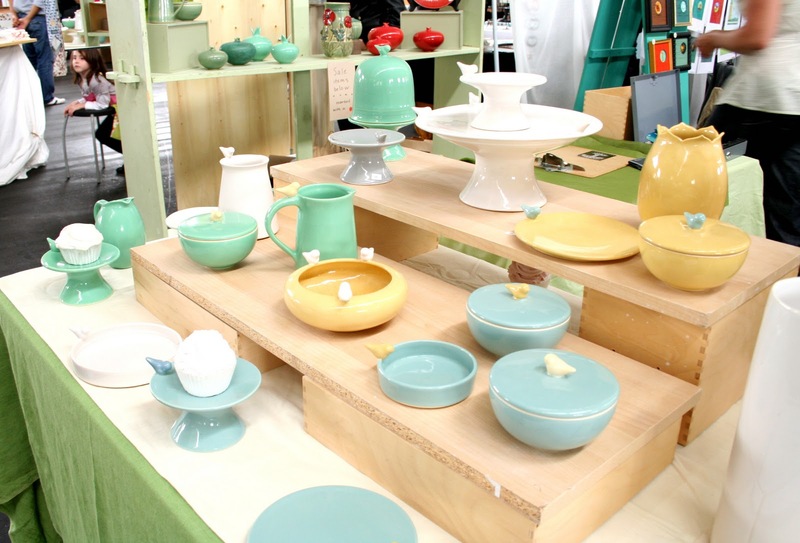 Whitney has such a great array of pieces- vessels, cake stands, plates, bowls and much more. See her whole line here.